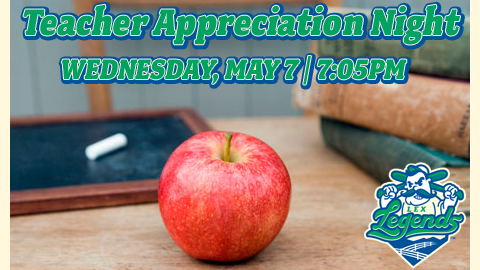 (WHITAKER BANK BALLPARK, Lexington, Ky.) The Lexington Legends will say thanks to educators with a Teacher Appreciation Night Wednesday, May 7. The Legends take on the Asheville Tourists at 7:05 p.m. Wednesday at Whitaker Bank Ballpark. Teachers and staff can call 859 422-7867, go to the box office, or visit lexingtonlegends.com, mention a special promo code provided to them by the Legends and purchase a special $12 ticket that will include not only a box seat, but also dinner at the game, a $20 value in all. "We are proud to take part in Teacher Appreciation Week with this special night at Whitaker Bank Ballpark," said Legends President/COO Andy Shea. "We hope the teachers and staff will enjoy a night of Legends baseball and all the fun that goes with it. We really do appreciate all that they do." 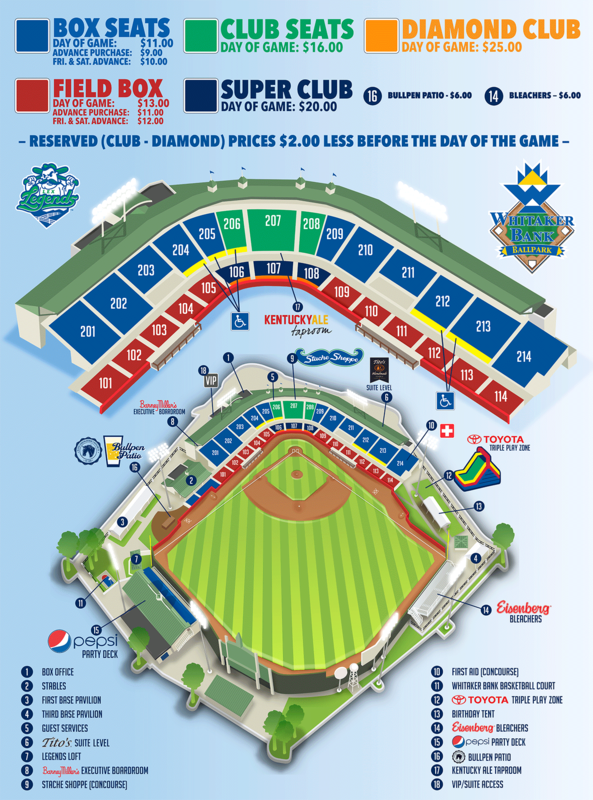 For more information, call 859 422-7867 or visit lexingtonlegends.com. The Lexington Legends were named South Atlantic League Community Service Organization of the Year for 2013.